What are the Different Types of Birth Injury? Cerebral palsy is caused by a brain injury that occurred before, during, or shortly after birth. 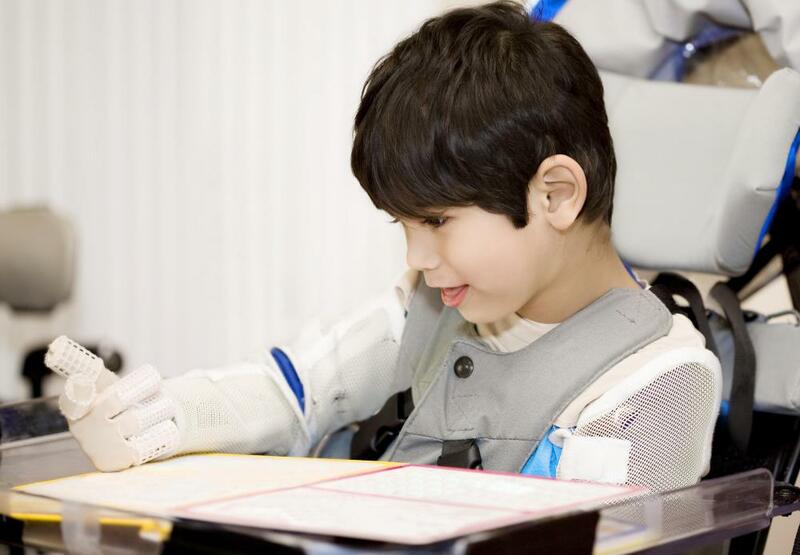 Hypoxia can lead to severe developmental disabilities in some cases. Minor injuries are often the result of powerful contractions during labor. 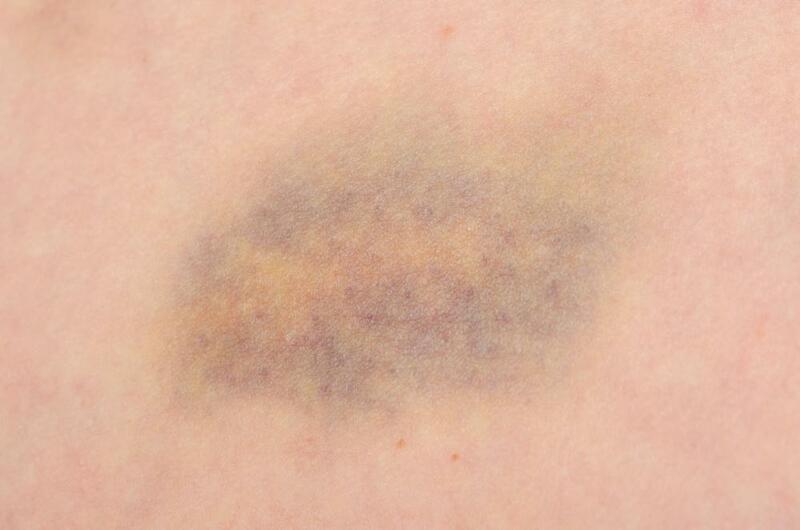 Minor bruises are a common birth injury. Birth injury is a term used to describe damage or injuries done to an infant during the birthing process. These injuries are fairly common, and are often the result of the powerful contractions of labor or certain mechanical processes. Most birth injuries are minor bruises that will have no long-term effects. Sometimes a birth injury can be more serious, however, and even lead to lasting complications. There are several major factors that make a birth injury more likely. A larger than anticipated baby or petite mother may make all aspects of delivery more difficult, increasing the chance of injury. Babies that are in unusual positions can also be subject to injury. A labor in which forceps or other tools must be used to get the baby out may cause injury. Sometimes, labor that lasts a very long time can cause injury thanks to the enormous force of the contractions. One of the most common types of birth injury is soft tissue damage. This may appear as swelling or bruising, giving a newborn a discolored and worrisome appearance. Most soft tissue damage will subside quickly without long-term effects. Jaundice is a regular complication of swelling and bruising, but is usually easily treatable. Fractures in the bones are another common form of birth injury. An infant's bones are still undeveloped and delicate, making them subject to injury. Abnormal birth position, low birth weight, or preterm delivery may increase the chances of a fracture in a newborn. Usually, fractures are easily corrected and have no long-term effects. A more serious birth injury is facial paralysis, caused by the strong pressure of contractions or the use of tools during labor. Symptoms of facial paralysis may include decreased movement on one side of the face or the inability to close one eye completely. Sometimes, the condition will heal without aid, but surgery may be required in some cases. 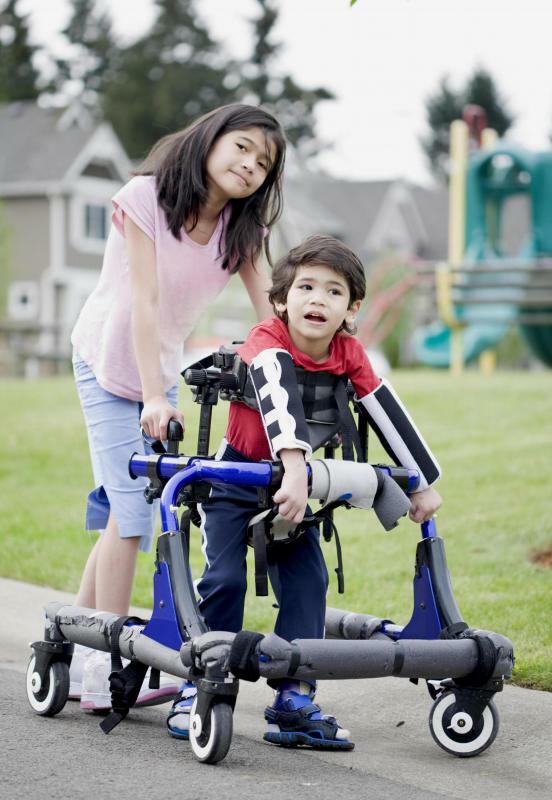 Cerebral palsy is a serious birth injury that may not manifest until later in life. Often the result of oxygen depletion during labor, cerebral palsy results in motor skill and learning ability impairment. This condition is more common in premature babies, as their brains may not have fully developed before birth. Symptoms of cerebral palsy may be mild or severe, and are usually diagnosed in early infancy or childhood. Brachial plexus palsy is another type of birth injury that affects the upper body. This condition can occur during a breech or unusual birth, particularly if the baby's shoulder is wedged tightly for an extended period of time. Infants with brachial plexus palsy may have reduced arm and shoulder movement, though this can sometimes be corrected through physical therapy or surgery. What are the Risks of a Forceps Birth? What is Brachial Plexus Paralysis?